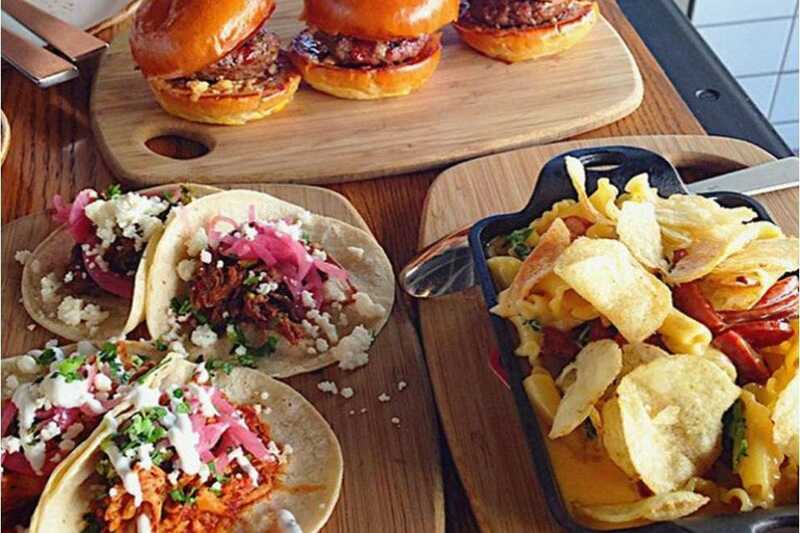 Dallas is a food-obsessed town. After all, it’s known for being one of the most restaurant dense cities in the country. 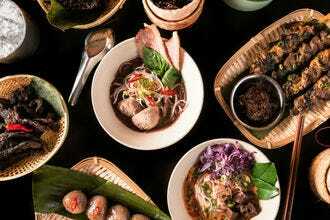 So, it should come as no surprise that there’s never a shortage of restaurants to try. In fact, the city’s food scene has never been hotter than it is right now, with dozens of new openings, plus a whole lot more to look forward to over the next few months. 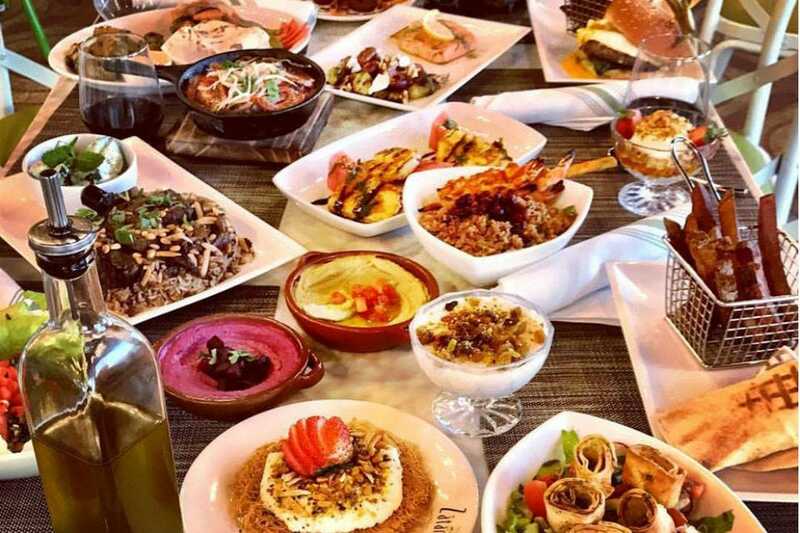 In Deep Ellum, locals are digging the meze platters and modern Lebanese fare coming out of Zatar, a trendy new dining spot with a lively hookah lounge to boot. 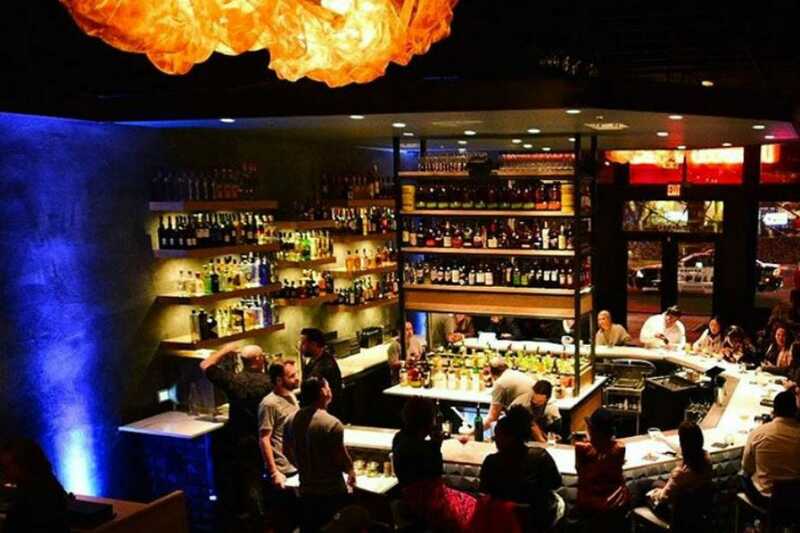 Deep Ellum is also where you’ll find Hide, a buzzy new bar that churns out jaw-dropping cocktails as well as top-notch bar bites. And when it comes to new dining destinations, look no further than the Uptown neighborhood, where you’ll find everything from the legendary Brazilian steakhouse, Fogo de Chao and the popular Canadian export, Moxie’s Grill and Bar to Nikkei, a seductive Brazilian-Peruvian restaurant boasting an eye-catching decor and dishes to match. 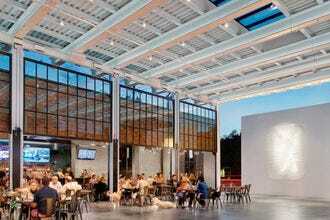 These are just a handful of tasty examples, read on for more of Dallas’ latest crop of must-try eateries and be sure to keep an eye out for more new spots to pop up in the near future. Following a massive makeover, this newly reopened gastropub is back with new owners and one of Dallas' biggest chefs heading the kitchen. The menu features a roll-call of upscale pub fare and anyone familiar with Chelsea Corner's famed pizza will be pleased to know that they've carried it over. 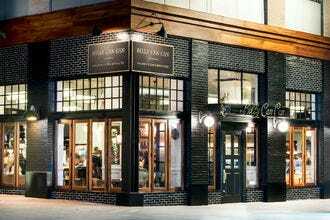 They do a killer fish & chips as well as everything from crab stuffed deviled eggs with truffles to charcuterie platters, salads, sandwiches and burgers. Booze-wise you'll find wine, craft cocktails and a solid beer selection, plus an extensive lineup of scotch and American whiskeys. And as if that were not enough, there's also two climate-controlled patios, a plethora of flat-screen TVs and a game room in the back. Oh, did we mention weekend brunch? Think: fried chicken and waffles with dried cherry syrup and maple butter. Hand tossed pizzas, bacon-cheddar tots and PB&J burgers with smoked bacon and blackberry habanero jam�–these are the things that school cafeteria dreams are made of. Enter Public School on Tap, a popular class-room themed gastropub chain which just opened its second, and much larger, area outpost in Addison. Joining a great selection of sandwiches, salads and mains (think: grilled skirt steak with truffled frites and fried Jidori chicken over green chili waffles), is a full-service bar boasting sommelier-curated wines, artisanal cocktails and around 24 rotating craft brews on tap. 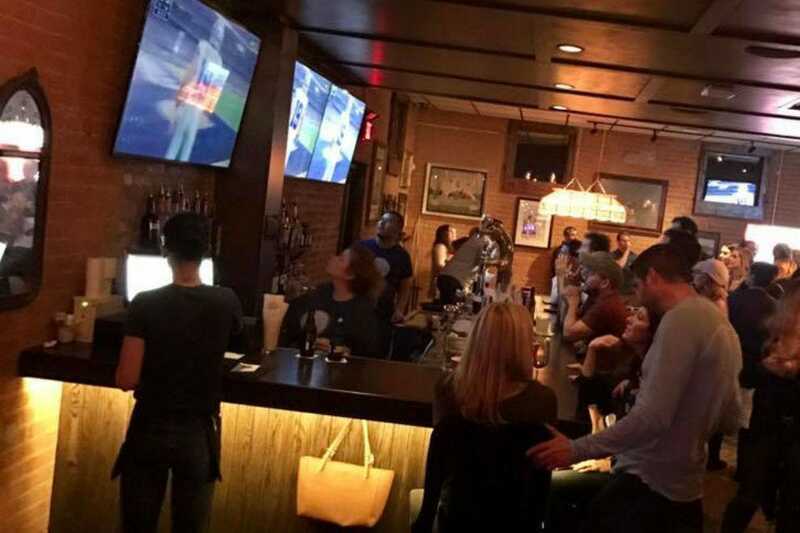 As far as extracurricular activities, keep an eye out for beer and cocktail classes, trivia nights and a daily recess (aka Happy Hour) offered from 3-7 p.m. and again at 9 p.m. until closing. Dallas might not be near an ocean, but there's a veritable aquatic bounty to be found at this West Coast seafood haven that sailed into Uptown in January. 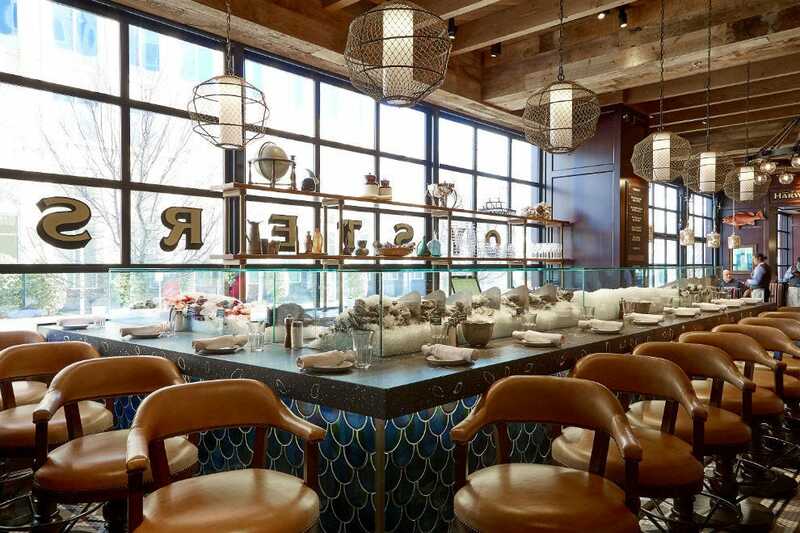 This means you'll find everything from oysters (over 13 types), sea urchin and crudo to shrimp, crab, scallops, lobster and char-grilled fish (flown in daily from the East, West, and Gulf), all creatively prepared in a lofty, nautical-inspired space. Add to the equation a vast selection of wines by the glass, twenty local beers on tap, hand-crafted cocktails and a primo 2,000-square-foot patio with retractable roof�– and it's little wonder that this place is seriously popular. Opened in late January 2017, this Deep Ellum spot has quickly made a name for itself thanks to its cutting-edge beverage program where mixologists employ all sorts of fancy equipment (think: centrifuges and roto-vaporizers) in the making of mixed drinks. Along with creative libations, like the wild hare (milk-washed carrot gin, ruby port, cinnamon, ginger and cumin tincture)�– Hide cranks out fantastic food options, ranging from charcuterie and toasts topped with the likes of chorizo and pimento cheese to ahi poke tacos, gyro tartines, Akaushi beef cheeseburgers and steak frites. They also serve something called the hot mess, a gooey concoction of kettle corn, chocolate chunks, marshmallows and cinnamon toast crunch that's smothered in hot caramel. Get this, you'll thank us for it later. It's official, the Hawaiian poké craze has taken over Big D and among the new arrivals is this airy West Village café peddling gluten-free raw-fish salad bowls plus all things matcha. 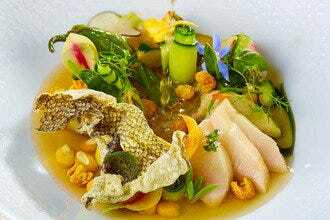 Try one of the signature bowls, like the albacore with mango, crispy onion, micro cilantro, serrano and sweet ponzu. Or go nuts with your choice of kelp noodles, zucchini slaw, bamboo or cauliflower rice as a base, before loading up with everything from tuna, salmon and tofu to lotus chips, cured shitake mushrooms, wasabi tobiko and chili-marinated oranges. Pair it with sake or one of the matcha drinks, such as an almond milkshake with dates and cinnamon. Don't miss their sashimi tacos and crispy rice spicy tuna burgers either. Perhaps it's the terrific food and cocktails �– or just the vibrant atmosphere itself, but this Canadian export has taken Dallas by storm since it set up its first stateside location in Uptown last November. In fact, good luck trying to score a table here at prime time on the weekend. 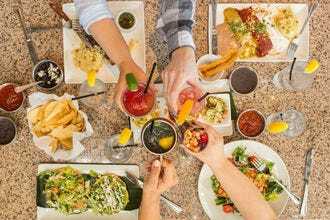 As far as the menu goes, it's certainly a crowd-pleaser�– featuring everything from sushi cones, dry ribs and Korean fried cauliflower to Thai red curry bowls, beef vindaloo, burgers, tacos and steaks. And yes, they have poutine. They also have Canadian beer and whiskey that you won't find anywhere else in town. Don't leave without trying one of the scratch-made desserts�–the sticky toffee pudding with candied pecans has your name on it. Better yet, go for the dessert sampler, that way you can try them all. 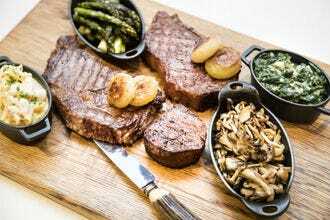 Known as a venerable temple for carnivores, this Brazilian based steakhouse chain, which landed its first U.S. location in Addison back in 1997, has just opened a second Dallas spot in Uptown. But this time, it comes loaded with an expansive street-side patio and a super-slick bar offering Brazilian-style nibbles and killer cocktails. Which means you can easily hang out at the bar and make a night of it. 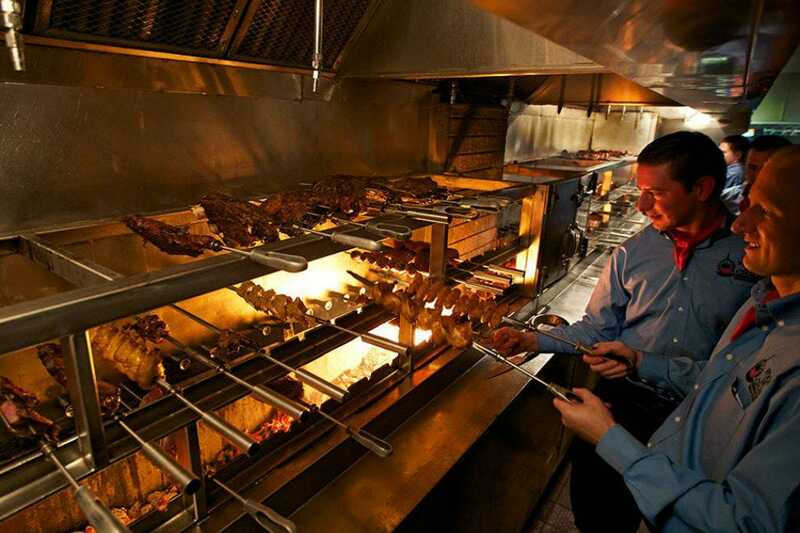 But then you'll be missing out on the best part about this place: An all-you-can-eat parade of more than a dozen glorious grilled meats (filet, short rib, sirloin, chicken, lamb and pork) served table-side by bambacho-clad carvers. Not to mention, an unlimited buffet of salads, fruit, cheese, smoked salmon, charcuterie and feijoada. Make sure to leave room for dessert, the papaya cream (fresh papaya blended with vanilla ice cream and topped with black currant liqueur) is insanely delicious. 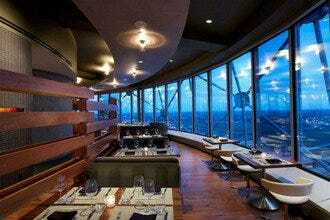 Couture, cocktails and cod cakes are what you'll find at Mirador, the new ultra-chic downtown eatery perched atop Dallas luxury retailer Forty Five Ten. Boasting floor to ceiling windows and a seductive garden terrace overlooking Tony Tasset's Eyeball sculpture, the restaurant fizzes with energy from midday till night with well-heeled diners tucking into a sophisticated menu by executive chefs Junior Borges and Josh Sutcliff. 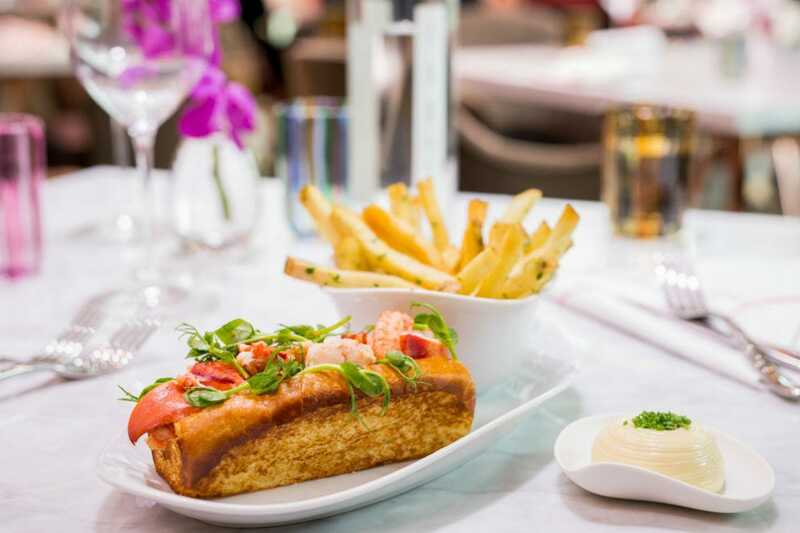 Expect to find caviar deviled eggs, tuna tartines and gourmet burgers during lunch (Monday-Saturday) and dishes like wagyu steak and grilled lobster served for dinner (Thursday-Saturday). And for those looking for a quick nibble while power shopping, there's a separate lounge featuring posh snacks, cocktails and bubbly. Oh, and the apple pie praline with ice cream and caramel is a must. Recently creating some serious buzz is Nikkei, a new 4,000- square-foot Uptown stunner, named for the Japanese-Peruvian fusion cuisine inspired by Japanese immigrants who settled in Peru in the late 1800s. 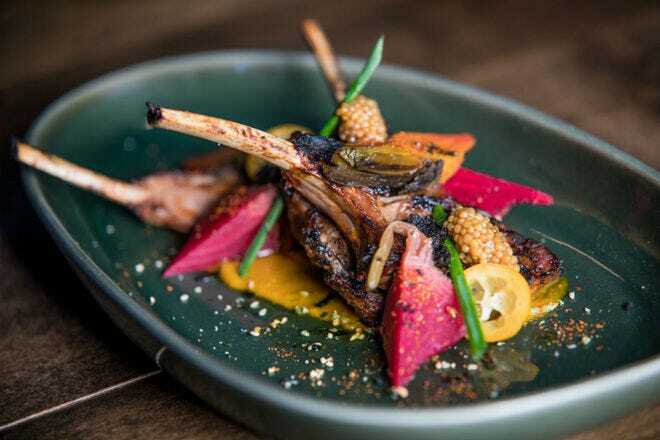 That means, diners can expect to find an array of eye-catching offerings�– ranging from truffled Hamachi to Texas Wagyu tartare and Malbec-braised octopus. 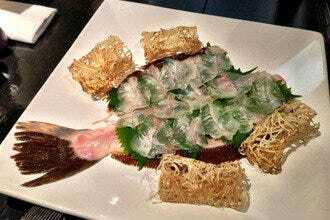 And of course, also expect to see a wide and varied assortment of sushi and sashimi. Pair it all up with a sophisticated sip, like the Prinz, an ethereal combination of Japanese whisky, yuzu, lemon juice, house made orgeat, vanilla bitters and egg whites. 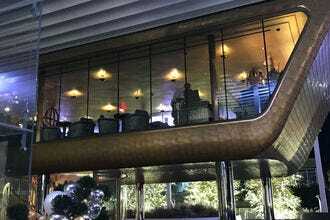 Not to be missed is their rooftop lounge boasting killer views of Uptown and beyond. That is, if you're lucky enough to have gotten a coveted reservation here in the first place. Spicing up Deep Ellum's ever expanding restaurant scene is this bustling Lebanese eatery that turns out a modern spin on the country's classic cuisine. Named after the Middle Eastern spice blend, Zatar delivers a roll-call of sharable crowd-pleasers, ranging from the more familiar baba ganoush and falafel to tasty specialties like fish chips (beer battered whole smelts) and moujadara croquettes, deep fried balls of lentils and rice. You can also get seriously stuck into flatbreads, brochettes, burgers, roasted fish and skillet dishes like roasted lamb mac-n-cheese. The highlight? Everything. Just make sure you leave room for dessert, the chocolate halawa cake is something else. Ditto for the exotic cocktails. Added bonus: a covered hookah patio and live music on weekends.